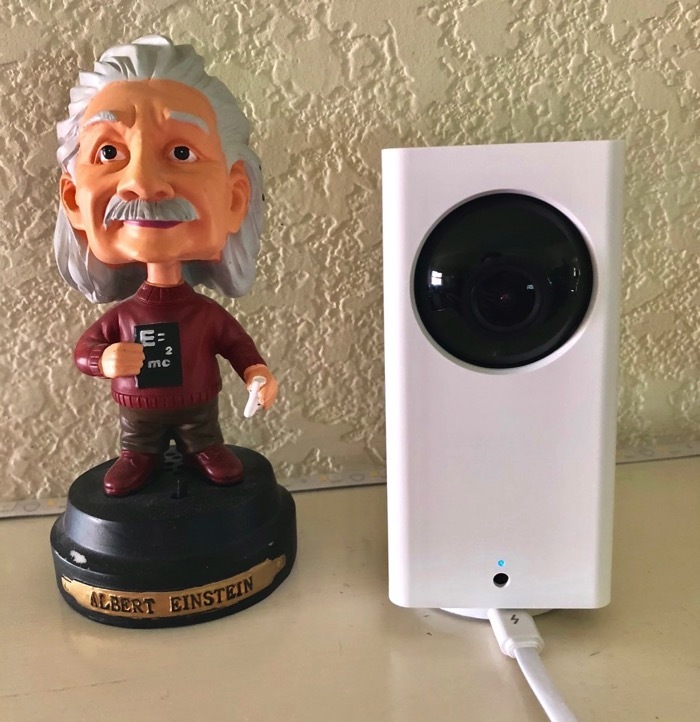 Back in January I told you about how Joe LaGreca convinced Steve and me to try out the $20 (+$5 shipping or $26 on Amazon) security camera from a company called Wyze Cam. 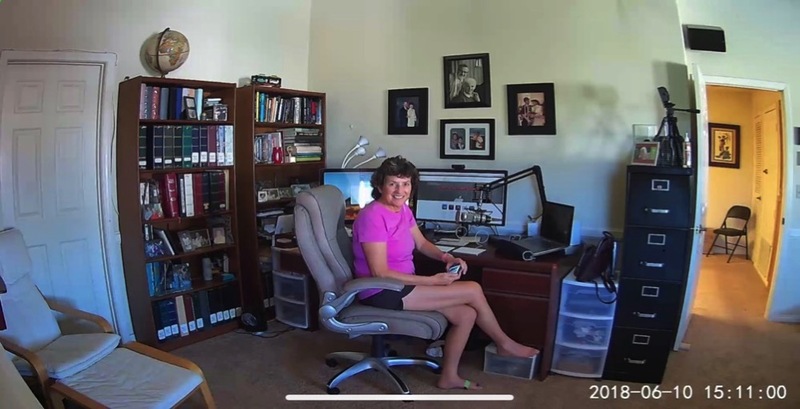 After buying one Wyze Cam for our family room, we bought one for the living room to replace the Omna webcam that made me so angry. Then we bought a third that points out our front window to give us full visibility to our front yard, our driveway and our mailbox. It’s actually one of my favorite views. The Wyze Cam is an adorable little camera that reminded us of the three little robots in the movie Silent Running (1972 sci-fi movie starring Bruce Dern), so we named the three of them Huey, Duey and Louie. I’ve already told you all of the cool features of the Wyze Cam in my article in January, but since I wrote that up, they have come out with new cameras. Just a bit ago they came out with the Wyze Cam 2, which adds motion tagging which is actually when Duey and Luey joined the team. Motion tagging shows you on screen what motion triggered it to record by putting a little green box around it. You can also set motion zones, so like with Duey who looks out the front window, we excluded the area where the tree leaves were always triggering an alert. While we were on a holiday to Memphis, we got an alert on Louie, who watches the living room. I got a cute little video of one of our cats (Ada Lovelace) going kind of berserk in the middle of the night, all captured in infrared light. 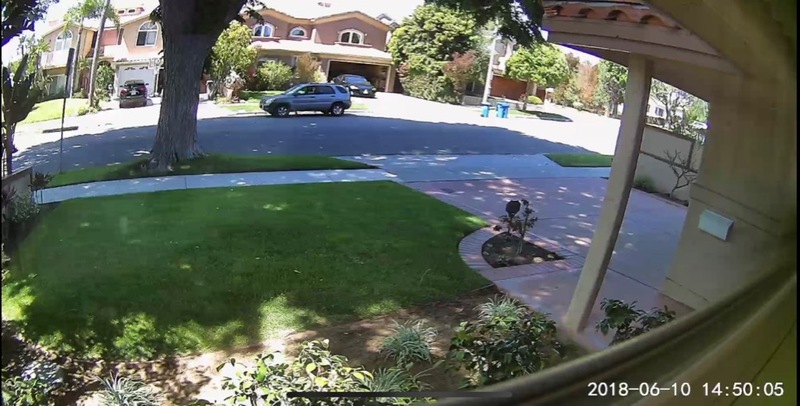 I thought maybe my addiction to Wyze Cam was finally satiated, but then they really messed with me. They came up with the new Wyze Cam Pan. This camera is a whole $10 more than the original so it will set you back $30 plus shipping. That’s a comically low price for what you get. 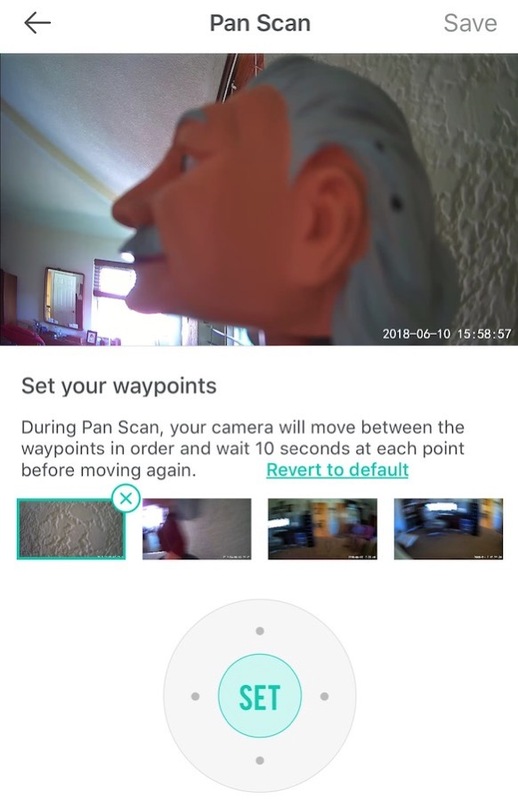 The Wyze Cam Pan rotates a full 360° in azimuth (aka horizontally to you civilians) and 93° in elevation (aka vertically). You can use the app on your phone to pan and tilt at will which is really fun. It’s actually a bit fast, at up to 110° per second, so if that’s too fast for you, you can change the speed in the Settings under Motor Controls. But better yet, it’s motion activated so it will track movement around the room! While we were out of town for the weekend, we put it up on the fireplace mantle in our bedroom which is also my podcasting studio. Please note that I said while we weren’t home.. Anyway it was great fun to track the cats around as they lounged on our bed. Since Wyze Cams all have two-way audio, we were able to call out to them to try and freak them out. As if all this weren’t enough, you can set up four way points for a feature they call Pan Scan. The idea is you can have it do an active patrol of these four way points on a constantly rotating basis. It stops for 10 seconds at each angle and then moves on. By default these four points are every 90 degrees, but you can set them yourself. The interface is brilliantly simple, and that’s part of what makes Wyze Cams so much fun. You get a little on screen guide that invites you to position the field of view and then tap a plus button and hit set. I did it wrong the first time of course but then I paid attention to what it was telling me and got the hang of it the second time. The good news is that the Pan Scan feature is interrupted if it senses motion in its field of view. That means that Tom Cruise could probably evade the camera but if you didn’t realize it was there you’d be caught on camera. At least one of you will ask why we have all of these cameras. I’m not sure I can articulate problem we’ve solved with them, but it’s the best fun I’ve had for $90 in a long time! We also now have three Ring cameras on the outside of our house and those actually are doing surveillance. We’ve always wanted to know who brings in our trashcans when we’re away from home and now we’ve caught Brandy in the act! I would normally put a link to the Wyze Cam Pan on Amazon, but since it was just released. Wyze Cam themselves aren’t selling it there yet. Some bozo reseller has it for $46, but don’t pay that! Go to wyzecam.com/… and buy it direct for $30 plus shipping. It cost $8 to be shipped ot me so still way less than those jokers. I’m sure Wyze Cam will start selling on Amazon as soon as they get enough of these built to satisfy the crazy preorder people like me! One last thing, I’m sure some of you are wondering what we named the Wyze Cam Pan. Of course we named it Valley Forge! These look really cool and a great buy. I bought Blink cameras when they came out a few years ago. They are battery operated and link via wifi to my home network. They do require a sync module which plugs into a wall outlet, but the cameras themselves are battery operated so can be placed virtually everywhere. I think these days you can buy a set of two cameras and a sync module for $200+ so way more expensive than the Wyze but I do like not having cords to worry about. Not affiliated with them so not posting a link but easily found online with a Blink for Home Google search. I just noticed that the recent update to Wyze app on IOS now allows the camera to be turned off/on. Cool. Ooh – I didn’t notice that, Rick! Thanks for letting us know.